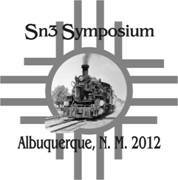 < NG 2012 > Next year's National Narrow Gauge Convention in Seattle, Wa. < NG 2010 > Past National Narrow Gauge Convention in St. Louis, Mo. < GRNGM > Greater Reading Narrow Gauge Meet, Leesport, Pa.